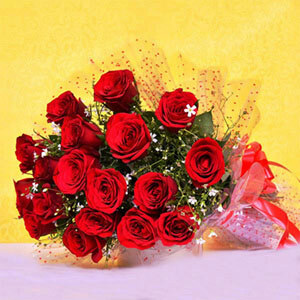 When your search is for a beautiful flower basket arrangement; here we have come up with this beautiful Red Roses basket arrangement. 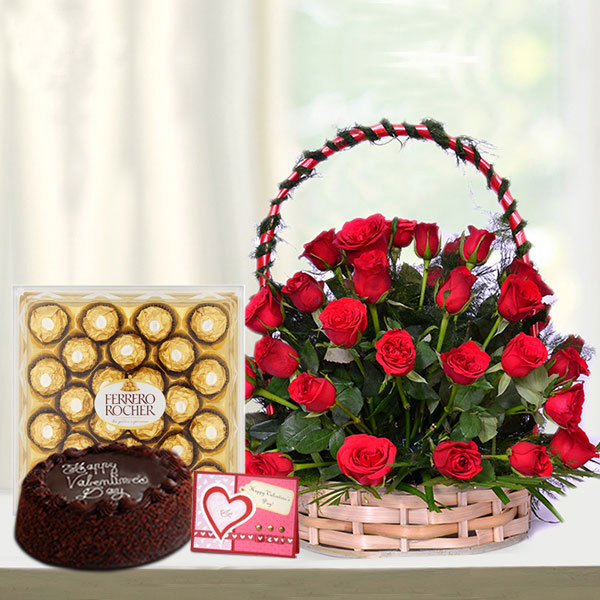 It is a big and lovely basket flower arrangement of 24 fresh Red Roses arranged nicely in an attractive circular basket and clubbed with one Valentine Greeting Card, one of delightful Chocolate Cake of 500gm and a pack of 24 Ferrero Rocher Chocolates. I bought this lavish hamper for my husband on his birthday and I must say everything in this hamper was really good and amazing. 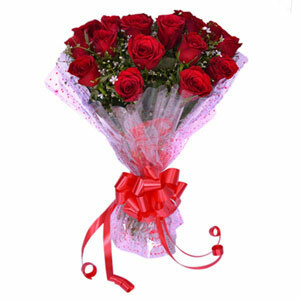 The flowers basket was the main attraction of this hamper. The cake was fresh and delicious. The card was small and cute. Overall I am greatly satisfied with this hamper. Highly recommend!